We found 1 episode of The Fireside Podcast with the tag “startups”. Episode 3: We're back for 2018! Welcome back to the Fireside Conference Podcast in 2018! A rambling (in a good way) chat with founders Steven Pulver and Daniel Levine with occasional interjections from Producer Tom. This week we discuss (amongst other things): Accents, a Fireside 2018 update on dates and transport, Steve and Dan on the Startup Canada Podcast, tips for preparing for Fireside 2018 and Jonathan Mann's (of Song a Day) Fireside song. 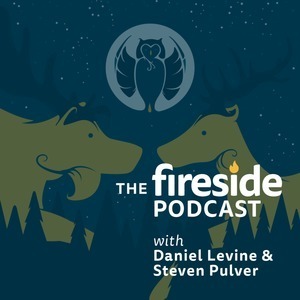 The Fireside Podcast is © 2019 by Fireside Conference Inc.